The aggressiveness which characterizes the modern peoples ...spring from...the Aryan branches of mankind. The ancient Hebrews were seldom engaged in strife, and then only as the result of being attacked, and never from any effort on their part at conquest of other peoples. The Hebrews have always been monotheistic, worshipping one god only---Jehovih, the Creator. The Aryans, with the growth of the Christian religion, have worshipped several gods, have been competitive, aggressive, imperialistic, and frequently engaged in wars of conquest. - Page 48 of SEVEN YEARS THAT CHANGED THE WORLD, 1941-1948 (1940) by Wing Anderson. Your Oahspe website is MARVELOUS! - April 20, 2015. Bill B. professor of Industrial Design. Above portrait of the builder of the great pyramid in Egypt (Pharaoh Thothma). He could hear the Gods (Osiris, Baal and Egupt) and talk with them understandingly. Portrait by John Ballou Newbrough. 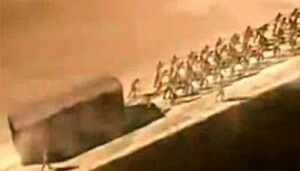 Some claim the Great Pyramid was built magically [levitation] with no human hands. The fact that archeologists have found tools, wood and boat fragments near the Great Pyramid puts a big question mark on that statement. - May 22, 2015 Mike Wallace (an Oahspe reader). A brilliant young prince of nineteen was placed on the throne of the Pharaohs. His name was Hojax, and in deference to Osiris he assumed the name of Thothma, or Tuthmosis. Perhaps he was also known as Khufu or Cheops, although of these latter names Oahspe makes no mention. [In December 2000 I traveled to Egypt. There I had met researcher John Anthony West. He told me that the name Khufu is found in more than one cartouche in the Relief Chamber above the King's Chamber - in the Great Pyramid. Khufu is credited as building the Great Pyramid. Khufu was Thoth - Khufu's Folly. 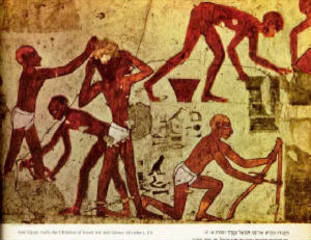 Above image of ancient Hebrew Israelites in Egyptian Captivity (slavery). they were oppressed by cruel laws and penalties, and were forced to reveal the mathematical science which had been preserved with them from their distant ancestors the I'hins, to whom it was committed by the angels in the first ages of mankind. Humanity was now ripe for this development, but the surrender of their secrets was a further blow to the Israelites. Both the knowledge and the slave labour of the Israelites were now thus impressed into the construction of the temple of Osiris, the Great Pyramid. And the etherean dawn in which Moses would bring them deliverance was still five hundred years away. [2053 - 500 = 1553 B.C.E.]. - Pages 189-190 of Darkness, Dawn And Destiny (Drawn from Oahspe) 1965 by Augustine Cahill. architect who built the Great Pyramid. It’s possible that pi, phi or both, as we understand them today, could have been the factors in the design of the pyramid. Slavery of the Hebrew Israelites (children of Abraham) by Thothma = Indo-european caste system. (and who also worshipped the Great Spirit in Africa). 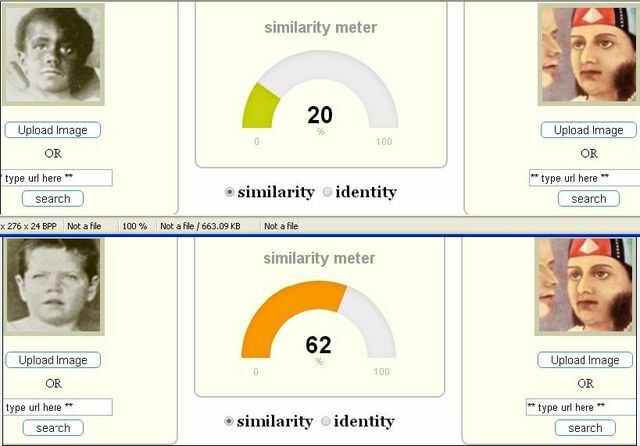 Above the Hebrew Israelite Prophet Abraham and 86% and 90% facial recognition matches and face points. Thothma Religion = Worshipper of the false God in the image of a Man and Savior Osiris. 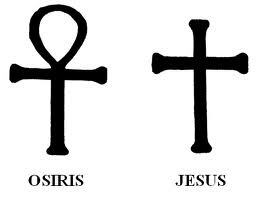 Osiris = One of the heads of the Beast of the Arc of Speta Cycle = Jesus Christ of the Arc of Bon cycle. 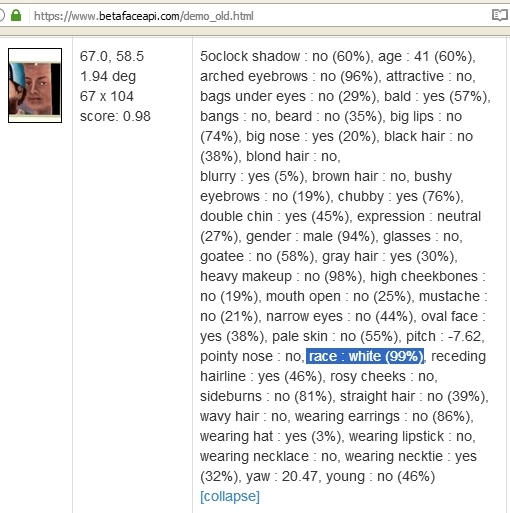 Above the Adept Thothma and 75% and 84% facial recognition matches with mathematical face points for measurements. and they cry out: O come thou, believe in my God! Believe in my Redeemer! or die! Behold the mighty armies of the Lord! Down, thou heathen, or die! 7. Thothma said unto Baal: Thou angel of God, thou hast shown me, of a truth, God is in the image of man. Nor is there any but one God, who ruleth over all. Beast: The animal man. The earthly part of man. Anything that is enforced, as a religion. 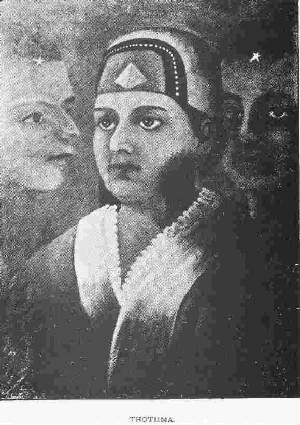 Above A'su is face matched to Thothma (79%) and Abraham (74%). they descended into stone, the most dead of all things. limestone and granite, 10 million bricks and 730 tons of aluminum and stainless steel. bereft of spiritual aspiration, he advanceth in corporeal knowledge, and inventions, and investigations. Above is from Removing OAHSPE's Enigma (page 11) By Jim Dennon. Canals, quarry stones, capstans, a simple pulley, the inclined plane, pre-Euclidean geometry, and boats used in the construction of the Great Pyramid were designed by Thothma and the Egyptian Ghans who supervised the project. 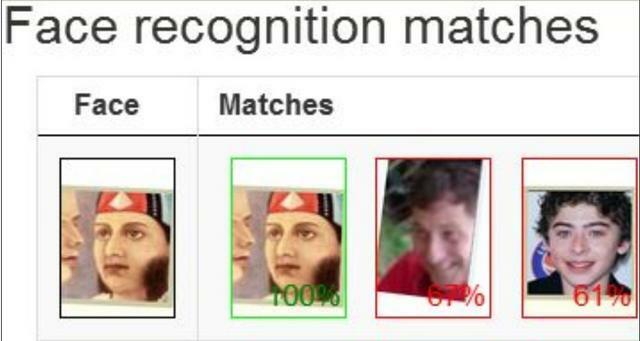 Thothma and Shirley Winters facial recognition match 84%. 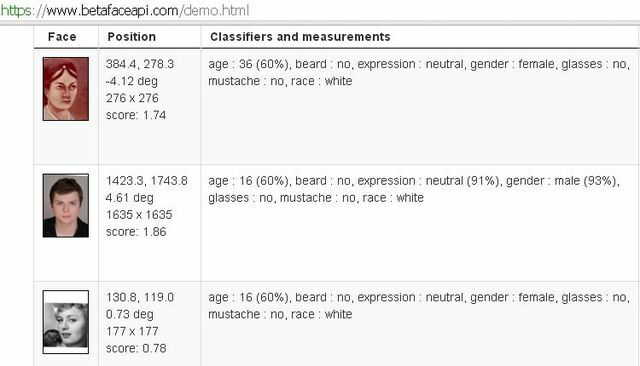 Thothma and facial recognition match to familiar and 3 men at a lynching 83%-82%-79%-77%. 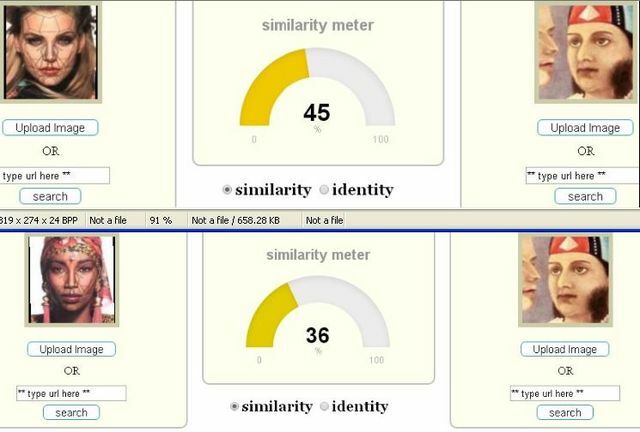 Thothma facial match to familiar and WW2 Axis leaders Benito Mussolini 79% and Hideki Tojo 75%. Thothma and Spencer Breslin 75%. Thothma & Elle Fanning facial match 75%. Thothma and Robert Bayer 67% (67% and 61% is equal to 66% and 62% on Pictrieve). Top 19 above are European or Caucasian. Visit Tae and facial recognition page of this website. Robert Bayer ( race: white) and Thothma 67% (67% is equal to 66% on Pictrieve). Above: Thothma and Ryan Ochoa 62% facial match. Ryan Ochoa Ethnicity: Italian, British. Top 12 above are European or Caucasian. Spencer Breslin is an American actor and musician of Irish and English ancestry. with most relentless zeal their former enemies. Above: Thothma & Elle Fanning facial match 75%. Elle ethnicity: German, English, and Irish, French. Top 10 above are European or Caucasian. 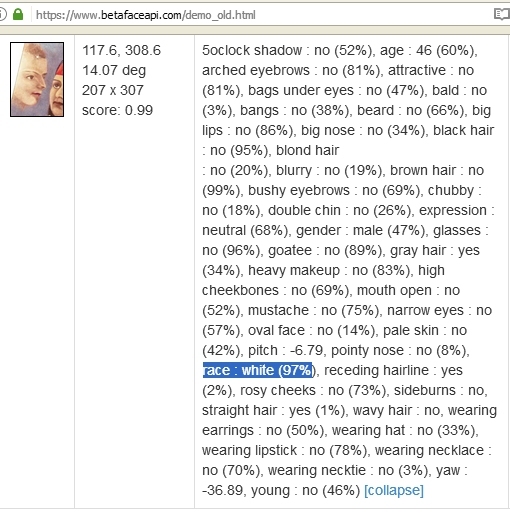 Betaface facial recogniton software classifies what Oahspe would call Ghan as "white" or caucasian race. Betaface "hispanic" = Ghan-I'huan mix (significant mixture of Caucasian, sub-Saharan-African, and Native-American). 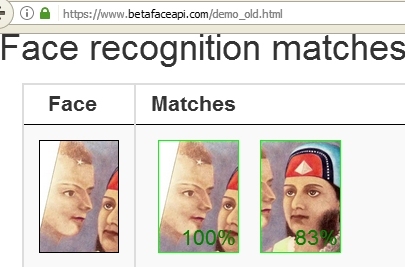 Below Betaface facial recogniton of Thothma (Great Pyramid builder) and Ka'yu (Confucius). Above: betaface facial recognition of two Thothma familiar (relative) spirits. 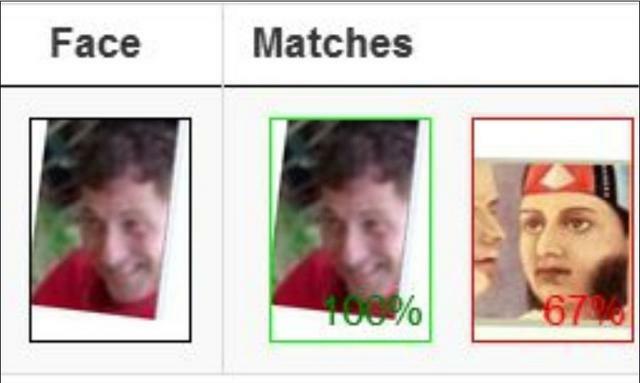 Above: betaface facial recognition (83% and 86%) of two Thothma familiars to Thothma. highest facial match (72%) to Thothma familiar is Victor Garber (white Ashkenazi Jewish). The Great Pyramid of Giza in Egypt was finished more than 4,500 years ago. Still, it's the only one of the Seven Wonders of the World that still remains today [source: Brier]. That's one well constructed pyramid. Who deserves the credit? Historians know that the brother of the pharaoh oversaw the project. That pharaoh was Khufu, who ruled Egypt from about 2547 - 2524 B.C. His brother Hemienu has the pyramid built to house Khufu's future tomb, but he had to have help. 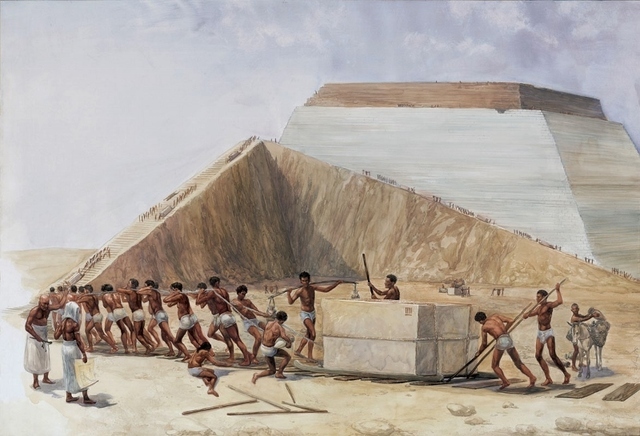 Debating just how the laborers moved and set the pyramid's blocks has kept archaeologists and historians busy for hundreds -- even thousands -- of years. The Greek historian Herodotus lived in Egypt in about 450 B.C. He mentioned machines used to raise the blocks; subsequent theories have included use of levers, wood sleds and ropes made of papyrus to pull the blocks along ramps to their locations. Each theory has had its drawbacks. For example, an external ramp would have to have been a mile long to reach the pyramid's height at a reasonable grade [source: Connor]. In 2007, French architect Jean-Pierre Houdin proposed a theory that involved use of an internal spiral ramp system [source: Connor]. Using 3-D software, Houdin reconstructed how he believed Hemienu and his laborers may have accomplished this feat. 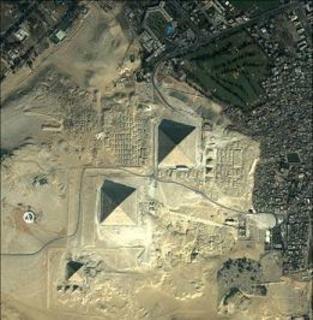 He believes the pyramid was built in stages, the first using an external ramp, and the second an internal ramp. There is some evidence to support Houdin's theory -- a microgravity test performed in 1986 showed there was a structure inside the pyramid that is less dense than the rest of Great Pyramid. This less-dense structure has a spiral shape [source: Brier]. The ratio of the perimeter to height of 921.6/146.5 meters equates to 2π to an accuracy of better than 0.05%! It makes the Great pyramid the greatest and ideal mathematical model realized in the Great Pyramid. It was John Taylor who first proposed the idea that the number &pi might have been intentionally incorporated into the design of the Great Pyramid of Khufu at Giza. He discovered that if one divides the perimeter of the Pyramid by its height, one obtains a close approximation to 2&pi. He compared this to the fact that if one divides the circumference of a circle by its radius, one obtains 2&pi. He suggested that perhaps the Great Pyramid was intended to be a representation of the spherical Earth, the height corresponding to the radius joining the center of the Earth to the North Pole and the perimeter corresponding to the Earth's circumference at the Equator. It is true that if one divides the Great Pyramid's perimeter by its height, one indeed obtains a very good approximation to 2&pi. Egyptologists believe that the pyramid was built as a tomb for fourth dynasty Egyptian Pharaoh Khufu (Cheops in Greek) over a 10 to 20-year period concluding around 2560 BCE. It is believed the pyramid was built as a tomb for fourth dynasty Egyptian pharaoh Khufu and was constructed over a 20 year period. Khufu's vizier, Hemon, or Hemiunu, is believed by some to be the architect of the Great Pyramid. It is thought that, at construction, the Great Pyramid was originally 280 Egyptian cubits tall, 146.5 metres (480.6 ft) but with erosion and absence of its pyramidion, its present height is 138.8 metres (455.4 ft). Each base side was 440 cubits, 230.4 metres (755.9 ft) long. The mass of the pyramid is estimated at 5.9 million tonnes. The volume, including an internal hillock, is roughly 2,500,000 cubic metres. 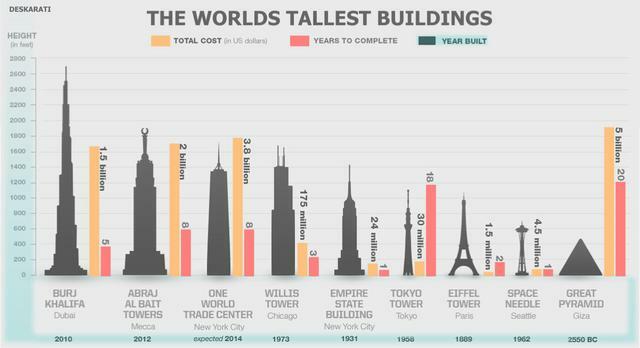 Based on these estimates, building this in 20 years would involve installing approximately 800 tonnes of stone every day. Similarly, since it consists of an estimated 2.3 million blocks, completing the building in 20 years would involve moving an average of more than 12 of the blocks into place each hour, day and night. The first precision measurements of the pyramid were made by Egyptologist Sir Flinders Petrie in 1880–82 and published as The Pyramids and Temples of Gizeh. Almost all reports are based on his measurements. 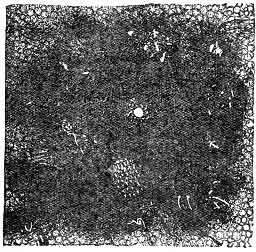 The completed design dimensions, as suggested by Petrie's survey and subsequent studies, are estimated to have originally been 280 cubits high by 440 cubits long at each of the four sides of its base. The ratio of the perimeter to height of 1760/280 cubits equates to 2p to an accuracy of better than 0.05% (corresponding to the well-known approximation of p as 22/7). Some Egyptologists consider this to have been the result of deliberate design proportion. Verner wrote, "We can conclude that although the ancient Egyptians could not precisely define the value of p, in practice they used it". Petrie, author of Pyramids and Temples of Gizeh concluded: "but these relations of areas and of circular ratio are so systematic that we should grant that they were in the builder's design". Others have argued that the Ancient Egyptians had no concept of pi and would not have thought to encode it in their monuments. Verner posited that the labor was organized into a hierarchy, consisting of two gangs of 100,000 men, divided into five zaa or phyle of 20,000 men each, which may have been further divided according to the skills of the workers. Here's what we know about their tools, the inclined plane, the lever, and so on. And without any secret sophistication or hidden technology, just basically what archaeologists say, this is what these folks had. DMJM came up with 4,000 to 5,000 men could build the Great Pyramid within a 20- to 40-year period. 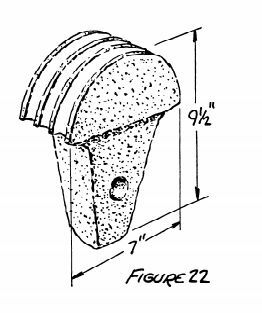 They have very specific calculations on every single aspect, from the gravel for the ramps to baking the bread. I throw that out there, not because that's gospel truth, but because reasoned construction engineers, who plan great projects like bridges and buildings and earthworks today, look at the Great Pyramid and don't opt out for lost civilizations, extraterrestrials, or hidden technologies. No, they say it's a very impressive job, extraordinary for the people who lived then and there, but it could be done. They are human monuments. The Great Pyramid of Cheops is the heaviest building ever set up by man. 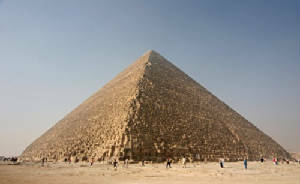 The weight of the pyramid is estimated at 5,955,000 tons . The Romanian Palace of Parliament in Bucharest takes the cake for world's heaviest building. With 700,000 tons (1.5 billion pounds) of steel and bronze,1 million m³ (35.3 million ft³) of marble, 3,500 tons (7.7 million pounds) of crystal glass, and 900,000 m³ (31.7 million ft³) of wood, construction began in 1984 and was not complete until 1997. We don't see this behemoth building losing its title anytime soon. The Great Pyramid is...so huge it staggers the imagination. We could build thirty Empire State buildings from its stones. The Great pyramid of Giza is the largest, heaviest, oldest, and most perfect building ever created by human hands. The most difficult part of the transport was getting the stones from the boat to the pyramid site. They pushed and pulled the cut stones on sleds by using ropes. A causeway had been built to connect the pyramid to the Nile. One belief is that wooden logs were laid down side by side along the causeway and ramps. They were able to move the sleds alongthe rolling logs by using water and oil to make them slick. They also used level lines and a plumb rule to keep each layer parallel to the next. Archaeologists have had several theories on how the Egyptians got the heavy stones to the top of the pyramid. The Eastern supply ramp theory suggests that one ramp was built out of rubble and mud from the Nile to the east side of the site. For the workers to drag the stones, the ramp had to be shallow. As the pyramid height grew the ramp grew longer. Some people thought that the ramp would have risen one foot for every twelve feet of length. This theory is often disputed due to the extreme length of ramp needed to build a 400 foot high pyramid. It is also felt that the ramp structure would have been bigger and used more materials than the pyramid itself. The first theory is that a ramp was built on one side of the pyramid and as the pyramid grew, the ramp was raised so that throughout the construction, blocks could be moved right up to the top. 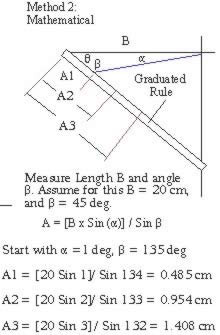 440 x 6 = 2640 feet, incline plane or ramp used to build the Great Pyramid according to Oahspe. 2640 / 3 = 880 yards or 1/2 mile incline plane or ramp. Khufu's brother, Hemienu. The pharaoh's right-hand man, Hemienu was "overseer of all construction projects of the king" and his tomb is one of the largest in a cemetery adjacent to the pyramid. The construction firm DMJM. The initials stand for Daniel, Mann, Johnson & Mendenhall, and it's one of the largest construction firms; they're working right now on the Pentagon. One of the senior vice presidents decided to take on for a formal address for fellow engineers a program management study of the Great Pyramid. So these are not guys lifting boilers in Manhattan; these are senior civil engineers with one of the largest construction corporations in the United States. DMJM came up with 4,000 to 5,000 men could build the Great Pyramid within a 20- to 40-year period. They have very specific calculations on every single aspect, from the gravel for the ramps to baking the bread. I throw that out there, not because that's gospel truth, but because reasoned construction engineers, who plan great projects like bridges and buildings and earthworks today, look at the Great Pyramid and don't opt out for lost civilizations, extraterrestrials, or hidden technologies. vol. X (Cairo, 1960), p. 49; pl. XII A, B. With the above in mind it would seem that the logical way to build a pyramid would be to build the central core with the pole marker on top, and, from its previously squared off base lines, sight the corners to the top by some means known to the ancient Egyptians, such as the star-sighting instrument.24 (a date palm rib with a notch), lay up the corner leads, stretch a string25 along the base line (supported at points by additional leads) and lay the base course of finely cut and fitted casing stones (see fig. 21). Once having established the eight primary lines the rest is simply the manual labor of filling stone to the line. Edwards claims that in the absence of any evidence of the pulley we have no choice but to accept the ramp theory - but the evidence has been found! In 1932 Hassan while cleaning the Pyramid City of Queen Khent-Kawes found a simple pulley, carved of red basalt, semicircular in shape, with arcuate grooves to guide three ropes side by side, and a tenon below with a hole in it, to affix it to something in a semi-permanent manner (see fig. 22). Again, in 1935, at the pyramid of Khefren he found another, identical in every way. Upon close examination he concludes28 that "in the case of raising a stone of enormous weight that many of these pulleys were fixed near each other and then used at the same time." Having established the principle used in lifting, all that remains is a means to supply the force necessary to counteract the weight of the stone. vol. X (Cairo, i960), p. 49; pl. XII A, B. In 1932, 51 years after Oahspe was written, a simple pulley was found. In 1932 Hassan27 while cleaning the Pyramid City of Queen Khent-Kawes found a simple pulley, carved of red basalt, semicircular in shape, with arcuate grooves to guide three ropes side by side, and a tenon below with a hole in it, to affix it to something in a semi-permanent manner (see fig. 22). Again, in 1935, at the pyramid of Khefren he found another, identical in every way. Upon close examination he concludes28 that "in the case of raising a stone of enormous weight that many of these pulleys were fixed near each other and then used at the same time." The god Osiris also seems responsible for another major change in Egyptian religion through its long history, that is, it's popularization. Osiris was a democratic god who doubtless became more and more popular because the theology surrounding him allowed even common Egyptians the opportunity of immortality after their death. By the late Old Kingdom, posthumous identification with the god Osiris was adopted by the common people. Osiris is an Egyptian god, usually identified as the god of the afterlife, the underworld and the dead. Dating the Third Dynasty is similarly challenging. Shaw gives the dates as being approximately from 2686 to 2613 BC. The Turin King List suggests a total of 75 years for the third dynasty. Baines and Malek have placed the third dynasty as spanning the years 2650 – 2575 BC, while Dodson and Hilton date the dynasty to 2584 – 2520 BC. It is not uncommon for these estimates to be off by more than a century. Google "when was the great pyramid of giza built"
Oahspe says the Great Pyramid of Egypt was built during the time of the god Osiris. The date of the Osiris religion in the Old Kingdom (2686 – 2520 BC, or 2494 BC.) matches the date of the Great Pyramid of Giza (2584). The Egyptians started building the Great Pyramid of Giza on August 23, 2470 B.C., according to controversial new research that attempts to place an exact date on the start of the ancient construction project. [Date of 2470 matches Osiris religion of 2494 BC]. According to the Chronology of Oahspe the Great Pyramid was constructed in the 2400 year cycle from 3953 to 1553 B.C.E. 1.^ Jump up to: a b c d Bovis, Antoine. "Excerpt from Exposé de M.A. Bovis au Congrès International de Radiotellerie à Nice". (Nice: Bovis, c. 1935). Translation by Jean-Paul Buquet. Skeptic.com. Retrieved November 24, 2008. M. Bovis, a Frenchman observed that a dead cat in the Great Pyramid (King's Chamber) did not decay and it did not smell foul. Pages 186, 187 of DARKNESS, DAWN AND DESTINY by Augustine Cahill says, "The Second Pyramid of Chephren has two chambers within, both situated at the base. 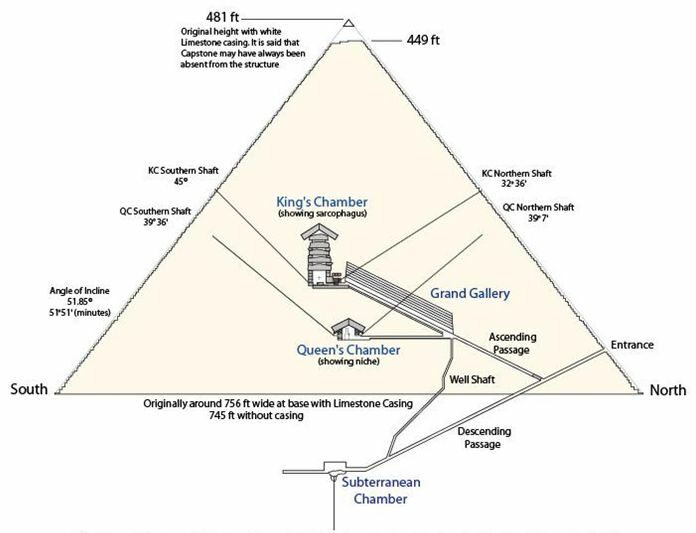 The Great Pyramid however is the only one which has three inner chambers, or which has any chamber located high up inside the structure, approximately 200 feet above ground level. If the pyramid was designed as the tomb of a Pharaoh, why then the other chambers? There is only one so-called sarcophagus, and there is no other evidence of a mummy or of the usual elaborate funeral appointments...It has no lid, neither is there ay evidence that it ever had one...This chamber is provided however with two ventilation shafts, carefully planned and constructed with considerable labour. Why should a mummy be at such pains to obtain fresh air?...Why should a tomb require ventilation that could only have the effect of hastening the decay of the exquisite ornaments and utensils which were usually placed with the royal dead--but which there is no evidence to show were ever placed in the sarcophagal chamber of this Pyramid? The story of the Great Pyramid as it is given in Oahspe solves quite a few of these strange and contradictory riddles." This advanced protractor, similar to the cross and plumb line, is an advanced mathematical device, capable of astronomy, navigation and surveying. It is proposed, that the ancient Egyptian architects and astronomers used this hybrid Celtic cross, for the purposes of stellar alignment and timekeeping. The proposal and thesis is based upon the discoveries and calculations of the author, whilst working on the proposal that the Celtic cross was an instrument derived from the astrolabe and quadrant. That the Celtic cross was used as a spherical measuring instrument for the purposes of navigation, astronomy, surveying, cartography and time keeping is known. Since there is, and has been, much debate amongst groups of academics over the ancient methods of surveying the pyramids at Giza, we will attempt to address the following questions. How did the ancient architects survey and lay out the constructions? How did the architects achieve alignment? Were the alignments achieved by solar or stellar observation? How did the architects achieve such accuracy? What instrument did they use? It is known that the ancient Egyptians used plumb line technology in several different areas, particularly in weights and measures. This is depicted in many friezes and was used in surveying, with the instruments known as the Bay and Merkhet. What has not been found to date, is an instrument capable of acting as an inclinometer or modern theodolite / sextant. Not only that, but one that is accurate to degrees and fractions of degrees, which would be necessary for the ancients calculations. Degrees are broken down into minutes and seconds of arc. One minute of arc is equal to one nautical mile on the meridian. 1. 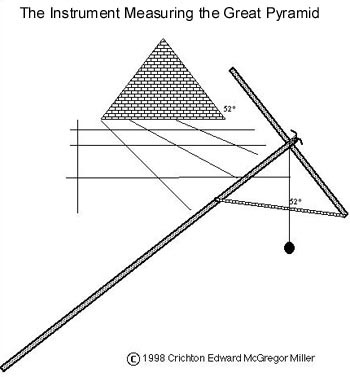 The proposal is that the pyramid of Khufu was surveyed with an instrument capable of accuracy to 3 minutes of arc. 2. That the evidence of the use of this instrument, is not only in the constructions, but that the author has found evidence of the actual artifact. I believe that the relics shown in Figure 1, which were discovered in the North shaft of the Queens chamber in the Great Pyramid of Khufu by Waynman Dixon and DR Grant in 1872, may have been one of the greatest Egyptian treasures revealed to date. Understanding them will open all kinds of avenues of new research into the ancient past. It was Charles Piazzi Smyth in his 1878 book "The Great Pyramid" who recorded the relics found in the north shaft of the Queens chamber by Dixon and Grant. These items were found in the hermetically sealed north shaft broken into by a Bill Grundy under the direction of W Dixon. The relics were sent to Piazzi Smyth in a cigar box where they were recorded in his diary with accompanying drawings and sketches. The loss of these relics was the subject of an extensive investigationin 1993 conducted by Robert Bauval with the assistance of Dr. Mary Bruck and the late Professor I.E.S. Edwards. 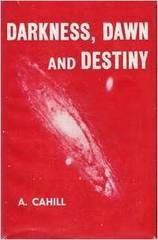 These events are documented in the epilogue of his book, The Orion Mystery. In Mr. Bauval's book he mentions several times that one of these relics, the bronze hook, was probably a form of Pesh-en-kef and "also a sighting device for stellar alignments", and that this was a view that was supported by Professor I.E.S. Edwards. 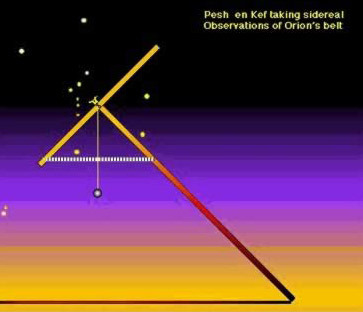 Bauvel also suggests in the book that, like the Czech astronomer Zaba before him, "that the Pesh-en-Kef instrument, fixed on a wooden piece and in conjunction with a plumb-bob, was used to align the pyramid to the pole stars." Two of the objects can now be found in the British Museum. The 1872 items consisted of a slat or rod of cedar wood about 13 centimeters long (part of a measuring rod), a granite ball weighing 1lb 3 ounces and a bronze/copper hook type of instrument, 5 centimeters long, with a part of a wooden handle still attached. The fragment of measuring rod is currently reported as missing. 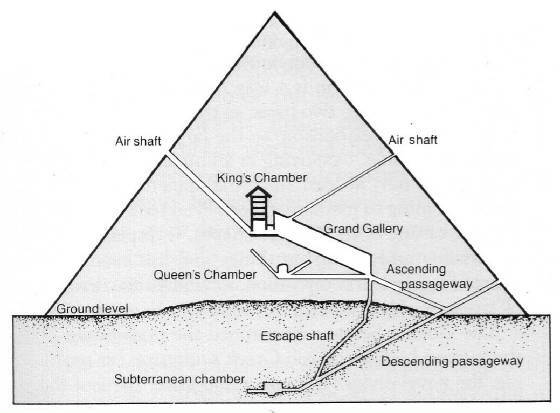 No further examination of the shafts in the Queens chamber had been carried out until 1993, when Rudolf Gantenbrink developed a remarkable robot known as Uphaut 2 to explore the shafts and to install a ventilation system in the Pyramid of Khufu designed to reduce humidity within the pyramid. He was subsequently to make the most accurate internal survey of the shafts to date. This work was undertaken on behalf of the Egyptian Government with the approval of Dr. Zahi Hawass. The operation was a success and a credit to Rudolf Gantenbrink. 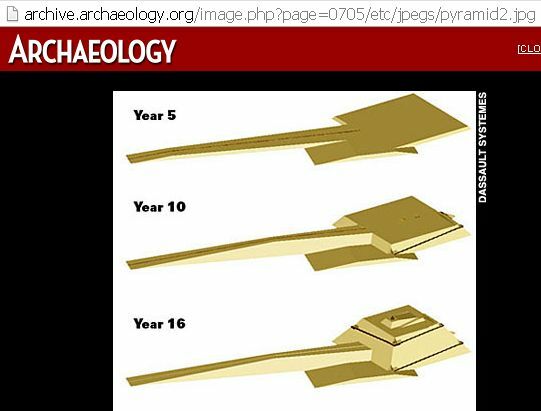 The discoveries made were remarkable and increased our understanding of the construction of the pyramid. The robot is now in the British museum and the story of this work is public knowledge. Bronze or copper fork with fixing rivets attached. A piece of wood with holes that match the rivets on the bronze item. A 2-meter plus length of wood resembling a staff with a portion missing. Various pieces of unidentified material, located in two areas of the shaft. A large rectangular object can be seen at the upper end of the shaft attached to the 2-meter length of wood. With this component list, it is possible to assemble the known parts in a logical format. Having completed the initial assembly and understanding the principles of the instrument earlier outlined, it can be established what components are missing to complete the instrument and turn it into a working model, proving the hypothesis. 1.75752 cubits = 9180 digits = 918 millimeters = 90 centimeters approximately. This is sufficiently close enough for centimeters and millimeters to represent degrees and minutes for the purposes of this experiment. Extreme accuracy for the time of three arc minutes would be achieved by the development of an exponential scale. This is achieved by drawing lines from the center point of a circle outward, through the rule. This can be seen in figure 7, kindly provided by Jim Bowles. It is possible to take complete spherical measurements in every plane with the instrument. If one uses it as an inclinometer, (sextant) a hand held variant with a scale of 900 millimeters can be accurate to 3 arc minutes or 3 nautical miles as measured on the meridian. Any passage, land or sea,tracking true north for units of this distance, will allow simple interpolation that shows the approximate circumference of the Earth on meridians (not allowing for the planet being an oblate spheroid). In other words, the circumference of the earth can be fairly worked out by traveling only 6 nautical miles, whilst taking regular observations. The unique feature of the instrument, however, is that it is capable of sidereal or horizontal measurements. This is beyond the scope of a sextant and the reason why I was granted a patent on the instrument. It means that one is able to take measurements of ecliptic constellations as they track from east to west horizons. One must find latitude first and be aware of the declination of the ecliptic at the time of observation. The instrument is capable of taking solar observations and measuring declination and Hour angles. This is achieved by indirectly viewing the sun. The instrument is directed at the sun and the shadow is projected onto a horizontal surface. By aligning the cross bar toward the sun an accurate shadow image can be read, and the degrees read from the scale. The instrument was granted a Patent by The United Kingdom Patents Office under Patent No GB 2344887 after extensive worldwide searches and publications. The Patent was granted in November 2000 . The patent was granted because the instrument was not "obvious" in that it had two unique features not available to any instrument in the world today. The ability to take sidereal (horizontal) angular observations. The use of a fulcrum for steadiness and accuracy. 28. Gau, a measuring instrument; a plumb and level combined. Gau said: They gave my base a level, and the sights on the angle of the plumb-line were level also, and in the distance of Tek Gos (about twenty miles) discovered the rounded earth. By the Gau was the earth proven to be a globe. By Gau have I revealed (Vede). A proven problem. An exact. Gau, a geometrical language. Language is of two parts, the proven is Gau, the unproven is M'gau. A sacred instrument; that that can not err. My sacred temples shall be built by Gau. Dau'sin (Chine), plumb-line. Ann'ak (Fonece). Ahm'uk (Ebra), a plumb-line. A Gau'Yi shall be placed by the altar. By the Sign Gau'i shall man learn to prove all things (Vede). It shall be the symbol of proof. Be patient that your sight may not err, saith Gau. 15. These were the instruments used by the king and his workmen: The gau, the length, the square, the compass, and the plumb and line. Nor were there any other instruments of measure or observation used in the entire building of the temple. 18. Thothma made an observing column for the sun, and it was provided with lenses of all colors, so that adepts standing at the base of the pyramid could see the sun at every hour of the day, and distinguish the spots and their changes. A gau was set within each of the angles of observation, that the relative position of the sun with northern stars could be determined every day. 19. By these two columns, therefore, Thothma and his mathematicians measured the sun and moon and stars, as to the distances and sizes thereof. A triangle measuring instrument with a scale along the base marked in degrees with a suspended plumb line discovered in the Great Pyramid of Khufu. Above Tablet of Ancient Egypt, Oahspe Book of Saphah: Aribania'hiayaustoyi. On the tablet you can see the Gau measuring instrument, triangle and plumb-line, double horns and staff. The Double Horned Cross Staff Triangle and Plumbline was discovered in the North shaft of the Queens chamber in the Great Pyramid of Khufu. On the lower left is an egyptian scimitar sword. Thothma the builder of the great pyramid in Egypt, and one of the greatest adepts that ever lived. He could cast himself in the breathless death trance by Kechari Mudra “the tongue-swallowing” technique of Kriya Yoga and leave his body for up to 30 days and go spiritually into the lower heavens and return at will in good health. While his spirit was gone the Great Pyramid protected his body from harm. Thothma was under the inspiration of the false God Osiris. Three people, among them one very famous person, are known to have spent a night alone in The Great Pyramid on separate occasions. It is worth mentioning that they are all documented as having experienced some highly strange phenomena during this time. The author believes these experiences can only be explained plausibly as each person having been outside their physical bodies. 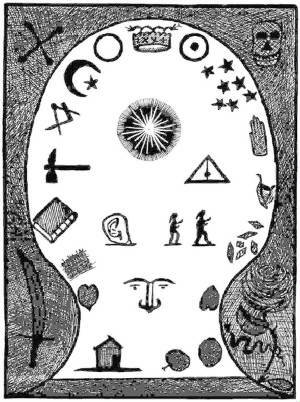 The books talked about people who had various experiences inside the pyramid, some of which were frightening. When author Paul Brunton came out, he was terrified. On the way, Frank filled us in on the details of his meetings. He had managed to get permission from the minister of antiquities, the main authority at the Cairo Museum. Two of us could spend three hours alone in the Great pyramid, beginning at 6:00 P.M. We were to deliver our official permits to the authorities at the plateau. At 9:00 P.M. sharp, we were to be out. In half an hour, we arrived at the Giza plateau. A few officials waited for us in another car. The guard opened the great iron gate at the entrance and threw a switch, turning on all the lights. We told him we’d like him to turn the lights out once we were settled in the King’s Chamber, estimating it would take about twenty minutes to get there. Frank left us, saying he’d pick us up afterward. The guard waited below to throw the switch, after which he, too, would leave, locking us in for the designated time. While Dave set up his equipment in the Antechamber, the lights suddenly went out. What a difference! The humming from the fluorescent tubes disappeared, and for the first time we felt the pyramid’s absolute stillness ...so quiet, so peaceful. Fantastic. We hurried to finish our preparations. Feeling a strong spiritual force, an intense, eternal energy permeating the atmosphere, I simply responded to it. After the ceremony, I sat cross-legged in front of the coffer and meditated. David also sat quietly and closed his eyes. In that deep, deep stillness, I heard what seemed like chanting voices far away, very clear and very real, but so distant I couldn’t make out a specific melody. They sounded like whispered chants from thousands of years ago, or like strings inside a piano sympathetically resonating quietly after you finish playing a note on the flute. They were beautiful tones and seemed to envelop me and the whole room. There was nothing spooky about this. I felt warm and comfortable. It was as if the chamber accepted me, welcoming my presence, and I felt quite happy and secure. After ten minutes or so, I opened my eyes. David looked comfortable, peaceful, and relaxed. At first, I wasn’t going to say anything about the voices, but the sound seemed so real. “You know, as I was sitting here, Dave, I thought I heard voices, like angels softly chanting from far, far away.” Immediately, I felt self-conscious and wished I hadn’t spoken -it sounded weird. David simply looked at me and said, “So did I.” Both of us had heard the same thing. As I say, the story is not true—Napoleon’s private secretary, De Bourrienne, who was with him in Egypt, insists that he never went inside the tomb. The hoogadoah, well covered, dark, angels teach them. 9." But, for the light of My angels to come and abide with My people, you shall provide the hoogadoah, the well covered house, and it shall have only one door, and pieces shall be put in the doorway, so that when My chosen are within, all shall be dark, so that My angels may teach them." This Hoogadoah seems to be something of a dry [Native American sweatlodge]. Meaning, like the Inipi ceremony where one can enter the lodge and ask for guidance, so sounds the Hoogadoah's purpose. 12. When a prophet [or all people] hath attained to discharge [radiate] vortexya, so as to make raps at will, he is also subject to the presence of people from the unseen worlds. And these people, spirits, or angels, use this vortexya for a foundation for sar'gis [materialization]. 23. Thothma said: If one could leave the corporeal part for a hundred days and travel in heaven for a hundred days, would it profit him? Osiris said: To do that is to master death. Behold, thou hast already attained to power of the dormant state. To control the course of the spirit; that is the next lesson. 24. Thothma said: Behold, O God, I have attained to the power of the dormant state, even as the magicians who submit to be buried for ninety days. Yea, and I go hence in spirit, and see many things, but my soul is like a breath of wind, and goeth at random. 25. Osiris said: Provide thou me a temple, and I will come and teach thee. Thothma said: How to keep the body so long, that it be not damaged, that is a question? The magicians who have been buried long, and being dug up and resuscitated, find their bodies so damaged that they die soon after. 26. Osiris said: Thou shalt build a TEMPLE OF ASTRONOMY, and dedicate it unto Osiris, Savior of men and angels, God of heaven and earth. And it shall be built square with the world, east and west and north and south. And the observing line shall be with the apex of the Hidan vortex, which lieth in the median line of the variation of the north star (Tuax). 27. In the form of a pyramid shalt thou build it; measure for measure, will I show thee every part. 28. And thou shalt provide such thickness of walls that no sound, nor heat, nor cold, can enter therein; and yet thou shalt provide chambers within, suitable for thyself and for thy chiefs, and thy friends, who are also adepts. For I have also provided the earth unto heaven, and heaven unto the earth; and my angels shall come and dwell for a season on the earth; and my earth-born shall go and dwell for a season in heaven; yea, they shall come to me on my throne and behold the glories I have prepared for them. 29. Nor shall my temple be exclusive, but open unto all who will pursue the philosophies of earth and heaven. For which reason thou shalt build it with the sun, moon and stars; and it shall be a testimony unto the nations of the earth that thou art the highest of all mortals, and first founder of everlasting life in the flesh. For as the angels of heaven can return to the earth and take upon themselves corporeal bodies for a season, so shalt thou master thine own flesh to keep it as thou wilt. For this is the end and glory for which I created man on earth. 5. Now in the second month after the temple was completed, Thothma, the king, having put the affairs of his kingdom in order, went into the HOLY CHAMBER, and thence ascended into the CHAMBER OF LIFE AND DEATH, leaving the four chief priests in the Holy Chamber. And Thothma CAST HIMSELF IN DEATH (dormancy) by swallowing his tongue. Whereupon the priests closed the entrance and sealed the king within. 6. Osiris, through his servant God, Egupt, said unto the priests: One alone shall remain; in quarter-watch shall ye dwell within the Holy Chamber, and I will remain also. And the priests cast lots, and divided the watch in six hours each, unto every day. And Osiris sent Baal to the spirit of Thothma, and took him to Agho'aden, Osiris' heavenly place, showing the spirit unto the glory of the throne, saying: Behold the God of Gods. Thothma said: It is a great glory; lo, mine eyes are blinded by the light of the Lord my God. After this, Baal took the soul of Thothma into a thousand heavenly places in Osiris' kingdom, and showed him the glory thereof. 7. Thothma said unto Baal: Thou angel of God, thou hast shown me, of a truth, God is in the image of man. Nor is there any but one God, who ruleth over all. 8. Baal said: How sayest thou then; who is God? Thothma said: How sayest thou? For behold, his glory was so great I could not look upon him. 10. Thothma said: O that all people knew these things! O that I may remember them when I am returned to earth. Baal said: More than this shalt thou remember; for I will now take thee to the hells of the idolators and the Jehovihians. Baal then took the soul of Thothma to the hells of De'yus, and showed him the horrors thereof. But he took him not to the regions of God, in Craoshivi. 11. Now when Thothma had traveled in heaven for thirty days, Baal brought his spirit back to the Chamber of Death, and showed him how to regain his corporeal part, the which he did. And then Baal signaled unto Egupt, and the latter spake to the priest on watch, saying: Behold, Thothma hath returned; go thou and fetch thy brother, and deliver him into the Holy Chamber. 12. And when they came they unloosed the sealing stones and delivered the king into the Holy Chamber, and he was awake from his trance, and remembered all he had seen in heaven, which he related to the high priests who were with him. And both Baal and Egupt came in sar'gis and talked in the Holy Chamber with Thothma and the priests. For one day the king remained in the Holy Chamber, that his spirit be reconciled to the flesh; and on the next day he and the priests came forth out of the temple and sealed the door thereof, and placed the king's guard in charge, that no man or woman might molest the place. Now Thothma had been in the death trance forty days. 13. The three angels, Egupt, Baal and Ashtaroth, came into the altar in the king's palace that night, and showed themselves to the college students who had attained ADEPT. 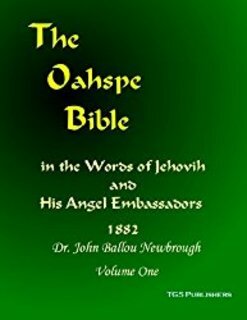 Baal spake orally before them, directing his words to the king, saying: Behold, I am the angel of God thy Lord, whom thou hast beholden in heaven; I am the same who traveled in heaven with thee. What I speak, I say in the name of the Lord our God, whose servant I am. On the morrow shall thy high priests draw lots, and one of them shall enter the Chamber of Holies, in the Osirian Temple, and do even as thou hast. And after him, behold, another of the high priests shall do likewise; and so on, until the four have had thy experience. 14. 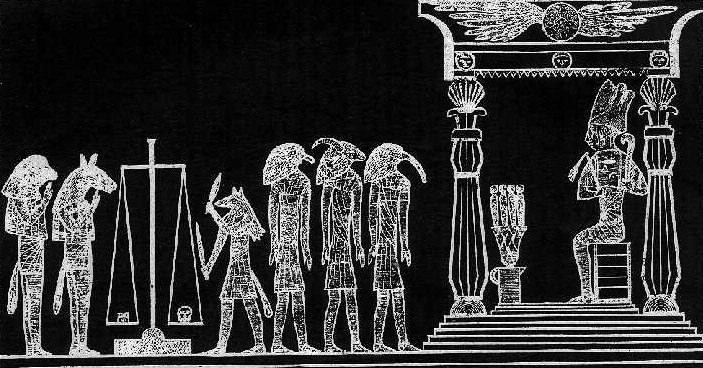 And it came to pass that the four priests in turn CAST THEMSELVES IN DEATH, and visited Osiris' heavenly kingdoms, and also many of the hells of De'yus, being led in spirit by Baal or Ashtaroth, Egupt being the guardian God of the temple. The Great Pyramid's north-south axis is aligned to within three-sixtieths of a degree of true north-south. It would be worthwhile to note that this alignment is more accurate than that of the Meridian Building at the Greenwich Observatory in London, which deviates from true north by nine-sixtieths of a degree. 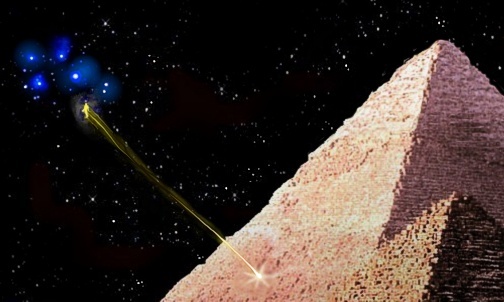 Even though there is no evidence in ancient texts that the Egyptians used astronomical knowledge in the construction of the pyramids, it seemed possible that they did indeed possess such knowledge, and had used it in finding the true north. This conjecture came about after the analysis of the night sky in 2,500BC. Egyptologist Kate Spence came up with a more precise method to date the Pyramids of Giza using slight divergences in their bases' alignment from the true north direction. Nature 408'2000, Pg320-324 In this issue, she also proposed a method which might have been used by the Egyptians to find true north. The precise alignment to true north can only be achieved by astronomical algorithms but the existing Egyptians transcripts mentioned nothing about the exact way to obtain it. By comparing the rising and setting positions of the Sun in the east and the west and bisect the angle between them, we can find the true north. If we apply this procedure, the procedure must be carried out near the time of a solstice, when the Sun seems momentarily to stand motionless in its position in its seasonal transit higher or lower in the sky. However, difficulties with observing objects near the horizon due to the interference from the Earth's atmosphere and with having a perfectly horizontal view at the same level or height at both the east and west sides which make this method quite unreliable. 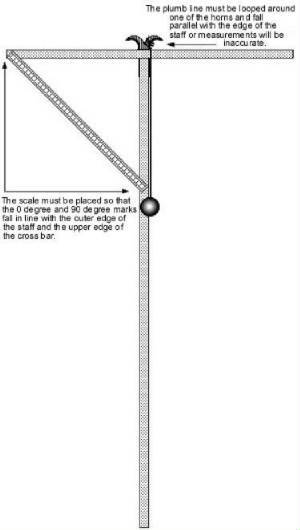 Alternatively, we can build some type of scaffolding to provide a view line for alignment with the north pole star but there was no appropriate pole star when the pyramids were built. Directly above their heavenly counterparts, the celestial poles are points in the night sky around which the stars seem to rotate about. Now, the north celestial pole points close to the star Polaris. As the Earth's axis of rotation is changing due to precession, the positions of the celestial poles shift gradually among the stars in a 26,000-year precessional cycle. Therefore, Spence came up with the suggestion that despite the fact that there was no pole star present for accurately pinpointing the exact true north in ancient Egypt when the pyramids were built, there was a pair of moderately shining stars, each on the either side of the ancient celestial pole, which in 2467 BC aligned exactly along a straight line including the celestial pole. One of the stars is Kochab in the bowl of the Little Dipper, the other star is Mizar in the middle of the handle of the Big Dipper Kochab and Mizar are technically known as b-Ursae Minoris and x-Ursae Majoris. 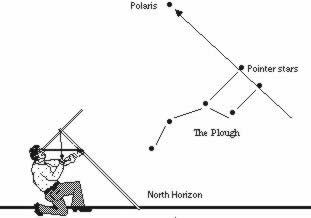 In 2467 BC, an Egyptian astronomer could wait while the heavens slowly pivoted around the unmarked pole until a plumb line exactly intersected both stars, one above the invisible pole and the other below it. The sight line to the horizon point directly below the plumb line would then point straight to north. Four sides of pyramid are aligned to east, west, north and south direction. Today these shafts don't line up to any stars. But about 5000 years ago when this pyramid was built north shaft pointed to North Star and the south shaft pointed to the center star of Orion Belt. The shafts don't point those stars today because earth completes a cycle, where tilt of its axis changes in 23000 years. Books of great learning, having the key of prophecy for three thousand three hundred years ahead were deposited within the south chamber of the pyramid. 19. By these two columns, therefore, Thothma and his mathematicians measured the sun and moon and stars, as to the distances and sizes thereof. And Osiris commanded the king to send into the far-off lands of the earth his wisest mathematicians, to observe the winds of heaven, and the drouth upon the earth; and the abundance of the yield of the earth in different regions, in different years and seasons; and to observe famines and pestilences, and all manner of occurrences on the face of the earth. He said unto the king: When thy mathematicians are returned to thee with their accumulated wisdom, thou, or thy successor, shall examine the sun and the stars and moon, as compared to the things whereof the mathematicians shall relate, one year with another; and three years with another three years, and five with five, and seven with seven, and so on for hundreds of years, and thousands of years. 20. And when thou hast taken in the term of three thousand three hundred years, and compared the sun and moon and stars, as relate to the occurrences of the earth, thou shalt have the key of prophecy for three thousand three hundred years ahead. And thou shalt say of this land and of that land; and of this people and that people, how it will be with them, and thou shalt not err. 21. Thothma, the king, called together his mathematicians, and, according to their grade, chose from amongst them twelve hundred. These he divided into groups of one hundred each; and he gave them a sufficient number of attendants; and he sent them toward all the sides of the world, allotting to them sixteen years each for observation, according to the commandments. 22. And they took with them all kinds of instruments to measure with, besides scribes to make the records of such matters as came before them. And they went throughout Arabin'ya, and Vind'yu, and Jaffeth, and Parsi'e, and Heleste, and Uropa, even across to the western sea; and to the south extreme of Arabin'ya, and to the great kingdoms of the interior, and to the north of Heleste and Parsi'e, and Jaffeth, to the regions of everlasting snow. 23. And in sixteen and seventeen years they returned, save some who died on the journeys. And most wonderful was the knowledge these mathematicians gained. In some countries they found philosophers who had the knowledge required even at their tongues' end. Thothma received them in great pomp and glory, and awarded all of them with great riches. 24. And Thothma had these things rewritten and condensed into books, and named them books of great learning, and they were deposited within the south chamber of the pyramid, where never harm could come to them. In the interview, and in his lecture, Hawass said that he is excited at the robot work that has been going on over the past two decades at the Great Pyramid. One chamber in the pyramid called the "Queen's Chamber" (although there is no evidence it was ever used for a queens burial) contains two shafts that go up into the pyramid but do not exit outside. Robots have been up these shafts and found that both contain doorways with copper handles. When a robot drilled through one of the doors, they found a small chamber with what might be a sealed door behind it. "There is no pyramid of the 123 pyramids in Egypt that have these type of doors with copper handles," he added. "Really, I believe they're hiding something." "The treasures of Khufu [are] still hidden inside the Great Pyramid, and these three doors could be the key to open this burial chamber." 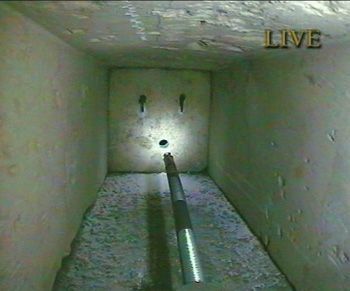 When a robot drilled through one of the doors, a secret room or chamber has been reportedly discovered behind the 2nd sealed door inside the Southern shaft in the Queen’s chamber in the Great Pyramid. And there may be ancient artifacts inside of it. Oahspe said the builder of the Great Pyramid had books of great learning (most wonderful was the knowledge) deposited within the south chamber of the pyramid, where never harm could come to them. As the CEVORKUM plate (Cut A) illustrates, we are a little over halfway in the Eoptian Age of man's duration on the earth in this garden (when the great pyramid was built marked the middle of the Eoptian Age; refer Book of Wars Against Jehovih XLIX:20). Eoptian Age: From the time man comes into being, on the earth until his race becomes extinct, is the eoptian age of the earth. Thothma, the learned man and builder of the great pyramid, had said: As a diameter is to a circle, and as a circle is to a diameter, so are the rules of the seasons of the earth. Rules of the seasons of the earth = rules of prophecy, 11, 33, 99, harmonics of 3. Seasons = Cycles = harmonics of 3 (1/3 or 3x). The diameter of a circle is 1/3 circumference. harmonics of 3. Circumference of a circle is 3x diameter. harmonics of 3. 10.614 (rounded to 11) x 3.14 (ratio of Circumference to diameter) = 33.33. 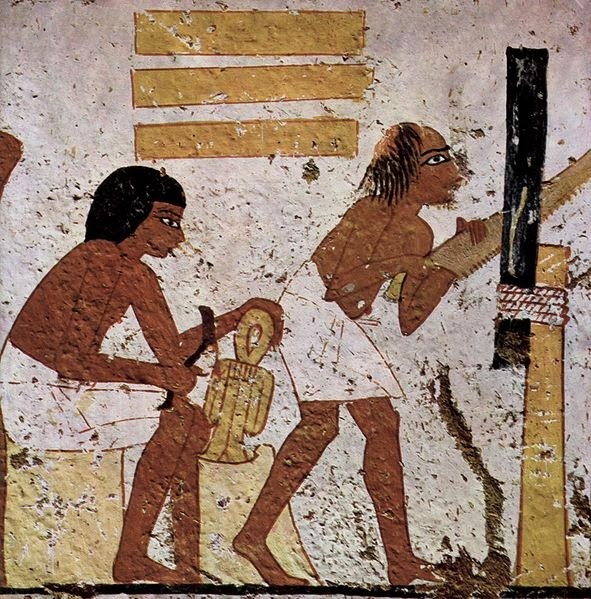 Murals show Egyptian workers cutting with copper saws. Advanced Machining in Ancient Egypt. Petrie also studied the sawing methods of the pyramid builders. He concluded that their saws must have been at least 9 feet long. Again, there are indications of modern methods of sawing on the artifacts Petrie was studying. 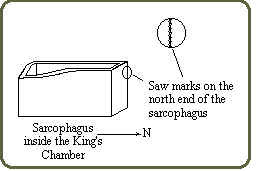 The sarcophagus in the King’s Chamber inside the Great Pyramid has saw marks on the north end that are identical to saw marks I have seen on granite surface plates. More words related to quarry. "The spiral of the cut sinks .100 inch in the circumference of 6 inches, or 1 in 60, a rate of ploughing out of the quartz and feldspar which is astonishing." 1. A taper on both the hole and the core. 2. 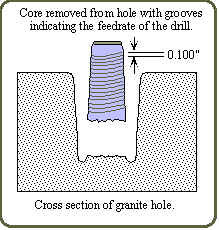 A symmetrical helical groove following these tapers which showed that the drill advanced into the granite at a feed rate of .100 inch per revolution of the drill. 3. The confounding fact that the spiral groove cut deeper through the quartz than through the softer feldspar. In conventional machining the reverse would be the case. Mr. Donald Rahn of Rahn Granite Surface Plate Co., Dayton, Ohio, told me, in 1983, that in drilling granite, diamond drills, rotating at 900 revolutions per minute, penetrate at the rate of 1 inch in 5 minutes. This works out to be .0002 inch per revolution, meaning that the ancient Egyptians were able to cut their granite with a feed rate that was 500 times greater. A'ji is a cold nebulous substance in outer-space that the earth periodicly passes through. Dan is a light region in outer-space that the earth periodicly passes through. A'ji stimulates man's physical attributes and desires, dan stimulates man's spiritual attributes and desires.